When thinking about New Year’s resolutions, the ones that come up quite often on a woman’s list are body and fashion or beauty related. 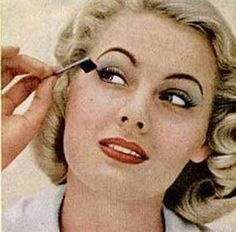 Remember that ‘I will wear heels every day?’, ‘I will go for a run to get into shape again?’ or ‘Yes, as Vogue said, I will chuck my old makeup. Yes, I will, I promise’? What if you had one goal for your whole fashion self, instead of guilty conscience make-you-feel-bad ones? Icons in fashion did not do any of these trivial tasks or promises unless they genuinely wanted to. If not- out of the window. Confidence and individuality were their key, not rules. They found that through doing exactly what they wanted to do and setting themselves a clear vision for their work, people were inspired. 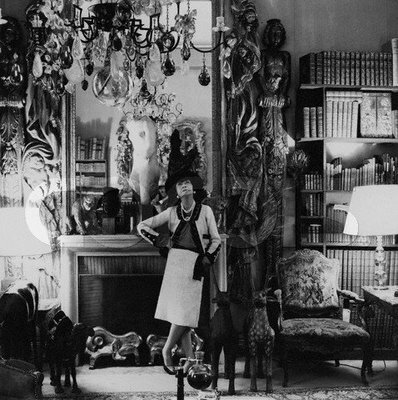 The people could not do the same, as when a creator de haute couture, like Mademoiselle Coco, who simply surrounded herself with beautiful objects to inspire her in her little nest at 31 Rue Cambon while creating the most iconic pieces of clothing of the twentieth century. To surround yourself with beautiful objects- is that not fashion? Should we do the same to be recognised on a wider scale? No. The truth is, that being in touch with your personality, your tastes, how you perceive the world will give you a higher chance of bringing that out to other people. The truth is, that being in touch with your personality, your tastes, how you perceive the world will give you a higher chance of bringing that out to other people. This was meant to be more inspirational- like creating a mood board of swatches of colour and fabric, I created an ‘aspirational’ mood board of people who convey their vision, and inspire.